Barça Lassa secure their fifth win in five league games since Svetislav Pesic returned. On this occasion, the blaugranes won at one of the toughest places to go to. Heurtel and Tomic alongside the intense blaugrana defence. Moncho Fernández’s team were impressive in the opening half and they were led by Bentzius, who scored 12 points. The Galician team were 21-12 up after the first ten minutes. Barça Lassa recovered through a more intense defence. Pesic’s team quickly recovered to 25-22 until the 13th minute. Heurtel dominated this quarter with 10 points and they ended up leading at the break. Tomic was also playing well and the duo helped Barça Lassa maintain an advantage throughout the second and third quarters. At the end of the third quarter, Bentzius reappeared and he dragged his team to within a point. 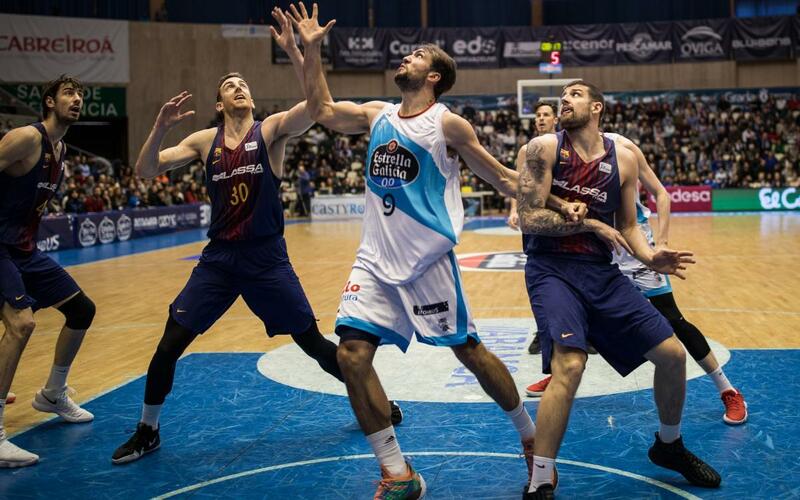 Barça needed to be careful as Obradoiro levelled the game. However, Tomic and Heurtel once again took control and guided Pesic’s side to another win, which maintains their perfect start under the new coach.